A camera lens is a combination of different types of glasses (Concave, Convex, Concavo-convex, etc), arranged in different groups to give the sharpness of content across the image. The figure below gives a pictorial representation of the inside the lens. It also contains an opening called "Aperture", which can be controlled using camera functions. The lens specification: The lens specification contains all the information related with lens. Some of these specifications are mentioned on the lens itself for quick reference. The main parts of specification are mentioned below. We will divide the specification in terms of whether the information is mentioned on lens body or not. Focal length Range: Focal length of a lens can be fixed or variable. It will be mentioned on the body of the lens in terms of "mm". For e.g. 50mm, or 100mm - 400mm, etc. Fixed focal length lens will have only single focal length, i.e. there is no zoom ring to change the focal length. However, in variable focal length, minimum and maximum focal lengths are mentioned. For 100mm – 400mm lens, the minimum would be 100mm and maximum would be 400mm. You can click an image in-between these focal length. Aperture supported: Aperture lies inside the lens and it can also be fixed or variable for different focal lengths. We can understand this well with an example. For e.g. 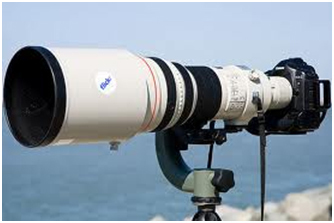 a lens with rating of 100mm – 400mm, F4.5 – F6.3 (this is mentioned on the lens body) means, the minimum F-number at 100mm is F4.5 however the at 400mm, it is F6.3. The F-number range would also change between 100mm to 400mm and would lie between F4.5 to F6.3. There are zoom lenses which have fixed aperture rating, such as 24-105mm, F4.0. This means that the minimum F-number at both 24mm and 105 mm is F4.0. 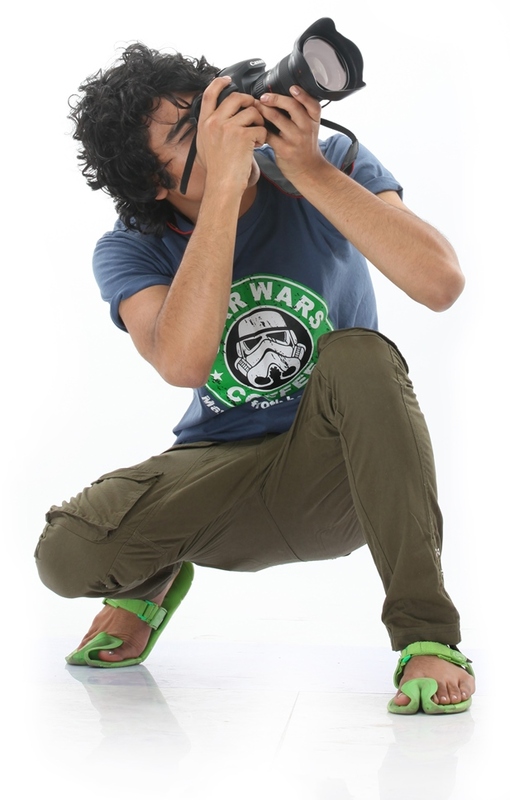 MF/AF: Lenses also have option for Manual focus (MF) or Auto Focus (AF). There is a switch, which can be toggled between the two options. In MF, you have to move the focus ring manually. This is specifically useful, when the auto focus is not accurate or not as desired. In AF, Lens will automatically focus on the focus points selected inside the camera. We generally use AF mode only as it is suitable in most of the conditions and is very fast compared to manual focus. All the terms means the same. This function becomes very useful at higher focal lengths (above 200mm), as even a slight shake in hand results in blur images. However, it also consumes lot of battery power, so much be switched off when using a tripod. Quality of lens: Different manufacturer also have various notification to mention or highlight that the lens of higher quality. Higher quality means, the glass elements of the lenses reduces the lens imperfections, the lens is weather sealed and ofcouse, the cost is high. For e.g. Canon mentions "L" with a red ring or white construction to highlight that the lens of high quality. Similarly Nikkor lenses have "ED" mentioned to signify "Extra low Dispersion" glass inside the lens. Filter mount: Every lens needs filter of specific size. This information can be read from the front of the lens. It is writing on the boundary surface of the front glass. We have industry defined filter sizes (for e.g. 52mm, 58mm, 62mm, 77mm, 95mm, etc) and most of the lenses have either of these. Type of focusing motor: Canon lenses also mentions whether the lens has a dedicated focusing motor for fast and accurate focusing. This is denoted by "USM" which stands for "Ultra Sonic Motor". Minimum focusing distance: Minimum focusing distance is mentioned on the lens surface in terms of feet and meters (for e.g., 0 .45m/1.5 ft). This means that the subject of focus must be atleast this much distant to allow lens to focus. Sometimes people go too close and then wonder why lens is not focusing. They even blame it to the defect of lens. However, it is not a defect. You have to be atleast at minimum focusing distance. Different type of mount: Cameras (of same company) also have different types of mounts and there is some restriction on using these mounts. For e.g. Canon has EF and EF-S mount. The EF mount can be used with full frame as well as APS-C D-SLR camera, however, we cannot use EF-S mount with the full frame body. Cost wise, EF-S are cheaper than EF lenses and are targeting towards hobby and amateur users. Nikkor have FX, DX and CX fount for full frame, APS-C and Mirror less cameras. Although there is no restriction to use FX and DX mount lenses on full frame or APS-C cameras, but a DX mount on full frame gives the same view as APS-C camera (i.e. restricts the view). CX mount is specifically for mirror less cameras and cannot be used to full frame and APS-C cameras. Full time manual focus: Along with AF mode, there are some lenses (primarily high end lenses), which support parallel MF mode. This means, you can move the focus ring even in AF mode. This is not possible in cheaper lenses. Number of aperture blades: More the number of aperture blades, smoother the bokeh circles and better it is. Higher quality lenses have more number of blades (more than 8) compared to low quality lenses, which have around 5 – 6 blades. Weight of the lens: Weight of the lens is an important factor for using it handheld. Generally long zoom lenses and weather sealed lenses weight higher. The weight must be considered while comparing similar lenses. Hood type: The lens specification sheet specifically mentions the code of the hood to be used with the lens. Local and third party hoods are also available at cheaper price but generally they are not as per specifications and they result in blocking the view of lens (so must be avoided).